Insurance companies will try and drive you to use their own repairer, this is not always a good thing, but not always bad either. You do however as a consumer have the right to have your vehicle repaired where you want.DO NOT LET THEM TELL YOU OTHERWISE! So for an example, should you have just spent all your lovely hard earned money on a brand new car, and want to use that manufacturers bodyshop? then your insurance company cannot deny you that right. It also put’s you in the driving seat, as using the insurer’s repairer, they may well use non original parts on your vehicle. Using your own repairer you can insist on them. You can advise your insurer you want to arrange your own repairs ,CHECK YOUR POLICY! as their may be an additional excess. They may then ask for a couple of estimates, YOU DO NOT NEED TO DO THIS! if you are happy with your choice of repairer, stick with it. The insurance company will then send an engineer to inspect your vehicle. If you have any issues at this point, Ie…the engineer will not agree repair cost, or wants to move it, contact me! 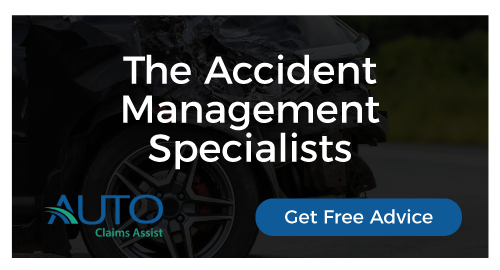 Now whether the accident was your fault or not, you can arrange an independent engineer to inspect on your behalf and agree cost with the repairer. If you want to do this, get your garage to contact us first, so we can arrange and discuss with them.You can then send in a PROFORMA INVOICE with a copy of the engineers report , and you should be re-imbursed the full amount including vat. Or you can use our claims management services, and we can do this for you. If you can afford to fund the repairs yourself, you can do the above, pay the bill and send to the insurer and they have to pay you. Please note we reserve the right to withdraw our services whilst still receiving payment if we feel any fraudulent activity is occurring, this involves, claiming for things you are not entitled, unrelated areas of damage, staged accidents, or anything that is seen as gaining goods services, monies to which your not entitled.